Are you looking to provide your guests with accommodation? Our luxurious 5m bell tents are ideal for providing glamping at festivals, weddings or other events. 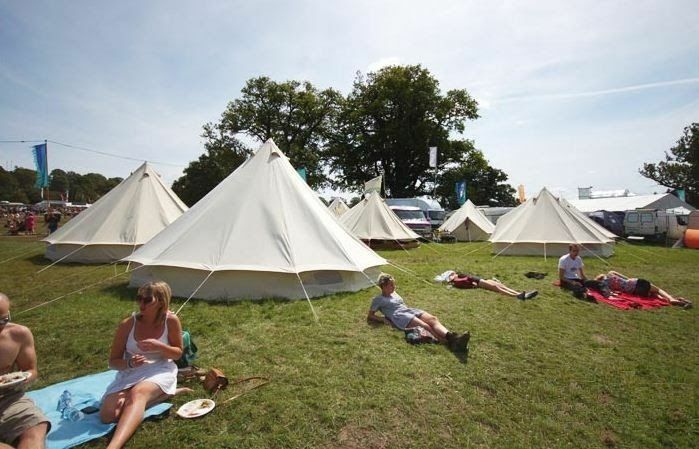 Hire up to 50 of our bell tents to create a glamping village for your event, and a memorable place to spend the night. Perfect for on-site accommodation for outdoor events and festivals. Please not price is for tent only. Furnishings not supplied.